Citizenship and Immigration Canada (CIC) has announced that effective January 2015, Canada’s permanent residence system will undergo a complete overhaul, and will work on an ‘express entry’ model. This will have serious ramifications for foreign workers in Canada wishing to become permanent residents (or independent applicants abroad), as well as for employers in Canada for whom prospective applicants already work, as set out below. - Canadian Experience Class (CEC) – a process which allows a foreign worker with at least one year of Canadian work experience to ‘convert’ his/her work permit to permanent residence. - Federal Skilled Workers (FSW) – a system by which an applicant garners points for factors including age, education, language, occupation, length of experience, and arranged employment. If an applicant garners sufficient points, he/she will qualify for permanent residence. - Federal Skilled Trades Program (FSTP) – a program which allows skilled tradespeople an opportunity to obtain permanent residence based on experience, language, and a job offer or provincial certification. In many ways, the considerations in this category are hybrids of the CEC and FSW, applied to skilled tradespeople. Within these programs, applicants make applications, which are processed on a first in/first out system. The government does set quotas and restrictions per year in each category, (as well as ‘sub-caps’ within some categories, e.g. X number of civil engineers within the FSW), but the process is applicant driven. There may be various positive or negative aspects to each of the systems, but their outcomes have been based on the use of an established set of parameters, against which the facts of the case could be tested. This has created an element of certainty in the system. Under the new system to be implemented in January 2015, the process will cease to be applicant driven. The process will be government driven. Full details are not yet available, but the process would require applicants to file a profile, which signifies to the government that they are interested in permanent residence, and which would set out their backgrounds. CIC, on grounds which are also not yet clear, would then select those applicants it thought were ‘highest ranked’ and who had arranged employment (or a provincial nomination). These applicants would be invited to apply for permanent residence, and would have 60 days to file their applications. No longer will applicants be processed in a first in/first out system, and no longer can applicants know that they have met the criteria through clearly established guidelines. Rather, as noted, CIC will choose from among the pool of prospective applicants, only those applicants it wants to process. Further, applicants who are not invited to apply for permanent residence will be removed from the pool of potential applicants after 12 months. As it stands, this new system creates uncertainty. No longer can an employee know with certainty whether he/she can become a permanent resident, and no longer can an employer know with certainty that he/she would have the ability to retain a particular desired employee. Though further details may clarify some of the issues, it would seem apparent that the new system gives CIC a large degree of discretion, and as such, the inability for employers/employees to plan for their immigration issues. Given the doubt and insecurity of the new system, the net effect of the above is that it is better to utilize the certainty of today’s system, rather than take a chance on the uncertainty of the future system. If a Canadian company has a foreign employee working in Canada on a work permit, and that employee intends to seek permanent residence, or if indeed the company wishes to secure permanent residence for that person, preparation and submission of the application should occur now. January 2015 is not that far away, and failure to lodge the application before then could mean the inability to seek permanent residence. There are various preparations involved in the filing of permanent residence cases, including the need for an English test (as well as quotas which must be considered), so it is not too early to start. Employers and employees alike should take necessary measures now, if they wish to secure permanent residence for the future. The information in this article is for general purposes only, and not intended as legal advice for any particular situation. 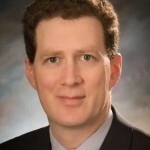 Benjamin A. Kranc is senior principal of the firm, and has many years of experience assisting clients in connection with Canadian immigration and business issues. Ben is certified by the Law Society of Upper Canada as a Specialist in Immigration Law, and is one of only a select few to be chosen by ‘Who’s Who Legal’ to be a foremost practitioner in his field. He has spoken at numerous conferences, seminars, and information sessions – both for professional organizations and private groups – about issues in Canadian immigration law and has taught immigration law at Seneca College in Toronto. Ben has also written extensively. He is the author of a text on Canadian immigration law entitled “North American Relocation Law” (Thomson Reuters) and contributing immigration author of “The Human Resources Advisor” (First Reference Books).